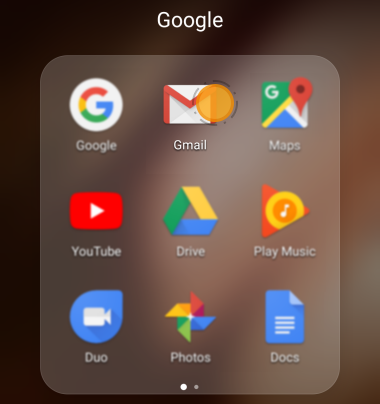 The Gmail app comes preinstalled on most of the Android devices. If you cannot find it on yours, you may look for it on Google Play Store or install another email client. 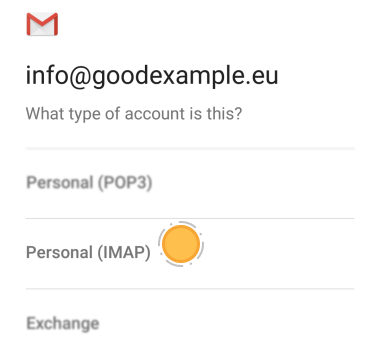 The option to add non-Gmail accounts into the app is supported since Android 4.0+. 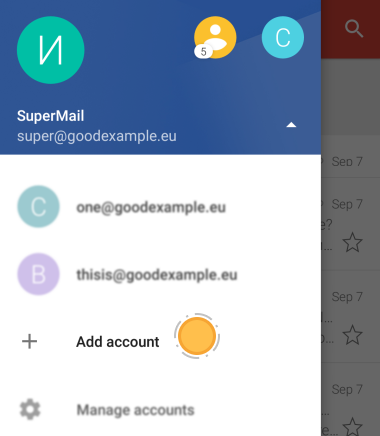 If you have already configured an account different from Gmail, tap on the menu on the upper left side of the screen. On the right, next to your username you will see a drop down menu. Open it and tap + Add account. 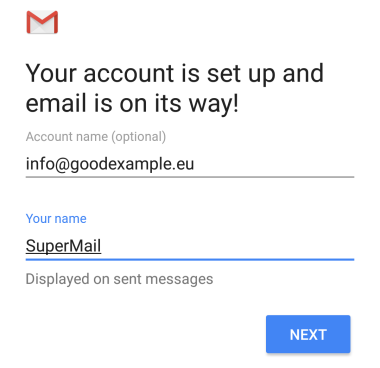 If you are setting up the Gmail app for the first time, you will be able to select the +Add Another Email Address option. With both of the two ways your next step is Set up email. Tap Other. You need to Add your email address in the respective field and tap Next. What type of account is this? - Select Personal (IMAP). Password: Fill in your email account password and tap Next. 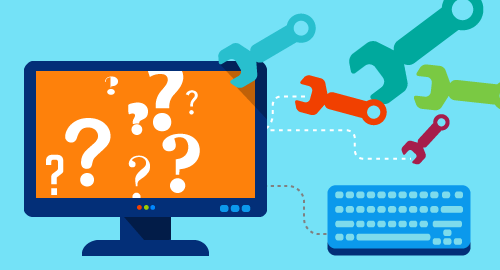 Incoming server settings – here you need to make sure that you have filled in the email account data properly. Check twice your username, password and server name. 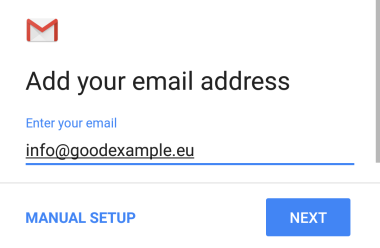 You have to fill in the full email address in the username box. (!) In the Server field enter the name of the server where your account is hosted, e.g. 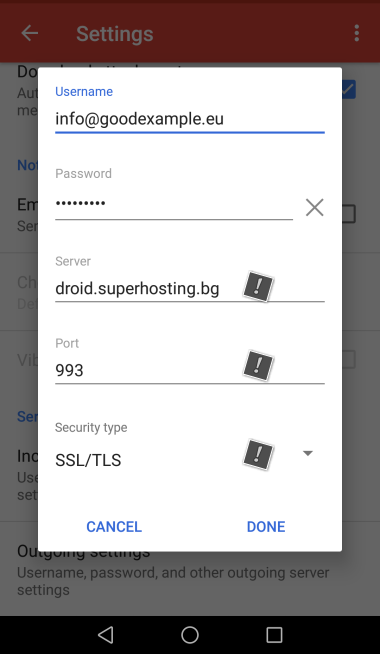 server*.superhosting.bg and tap Next. 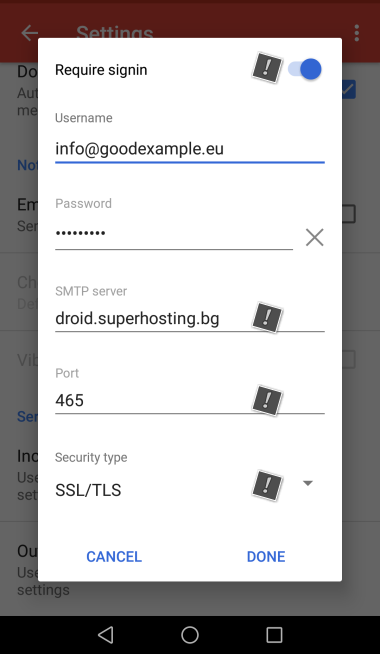 Important: When you use the hosting server name (server-name.superhosting.bg) the mail server connection will be automatically set to SSL/TLS. Note: If you enter your domain name in the Server field and there is no installed SSL certificate for the mail service, you will receive a notification that "The Certificate is invalid". 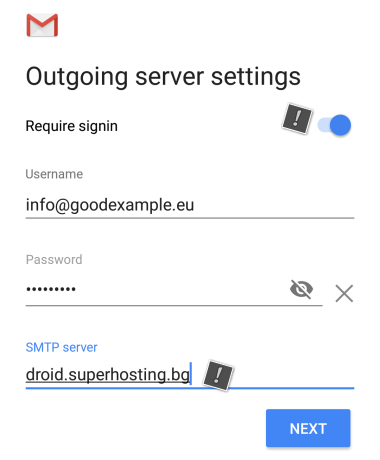 Tap ОК to close the message and then enter the name of the server where your account is hosted in the Server field. Outgoing server settings (!) Make sure that the Require signin into your account option is activated. (!) For an SMTP server once again enter the hosting server name and tap Next. If you have successfully configured your email account, the Account options section will open. Here you can modify the retrieve interval for new emails, notifications and many others. Tap Next. Your account is set up and email is on its way! 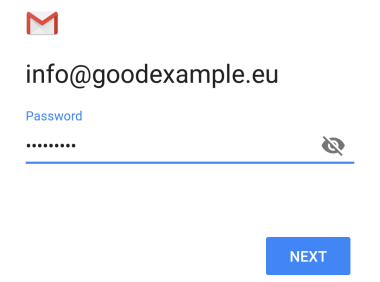 On this step you can enter a name of the profile in the Gmail app. It is a good idea to also enter your personal name, since it will be visible to the message recipients. 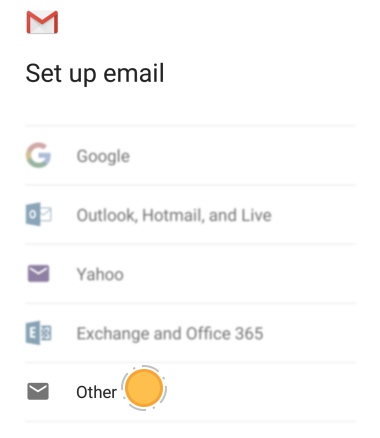 Complete your email account setup by tapping Next. 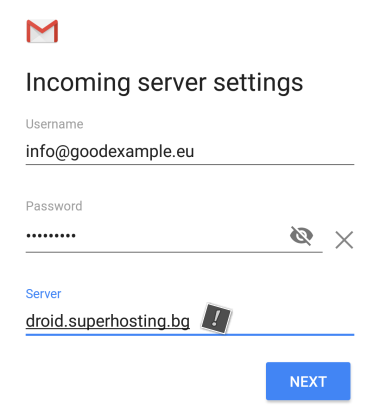 After you add an email account in the Gmail app by using the hosting server name (server.superhosting.bg) your settings for the incoming and outgoing mail server will be automatically set to SSL. 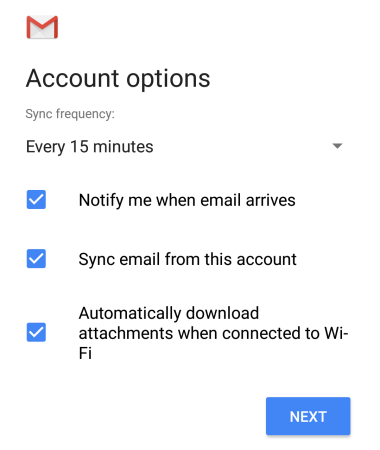 When you are logged into your email account you can access the Gmail app settings by going to the Main Menu -> Settings.